Sad how I got the news, an FB message, then confirmation when another family member posted about the loss….we were so close at one point…actually during several different times throughout our lives. This “Angel” was there for me when I had boy # 2, she went ridiculously overboard in setting up a spot for him. I didn’t even have all that she had in her “nursery” for my own kid. But she was happy to do it and I was comforted with the knowledge that my #2 would be well taken care of. 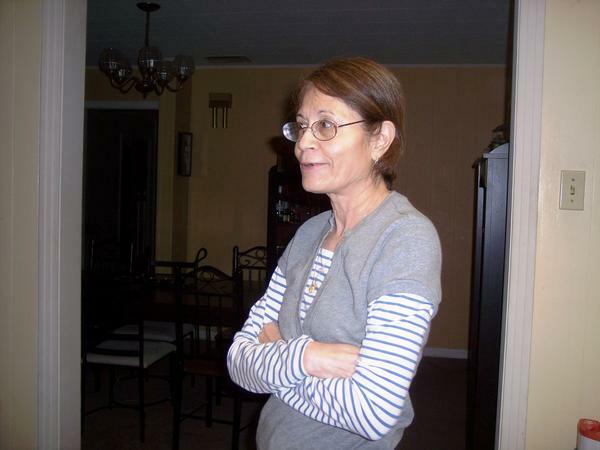 We watched each others kids…this was my auntie, but our kids were close in age even if we weren’t. She was my partner in crime when I was a big fat 9 months pregnant after a 75 pound weight gain and needing to “nest”….she wasn’t the sensible type to dissuade me from my craziness….I needed to move all my furniture….which I singlehandedly did at 9 months pregnant…I needed to go shopping for a crib…and other crap…she just went along with me…then we would go eat…we were always going out to eat…I’d let her order first…she always ordered more than she was going to eat…I’d help her make “her” choices of stuff I wanted to eat…all the while knowing she’d have one bite and be done..then it would all be mine….so many stories…so many tears. Family used to be important, lately I’m realizing that it is not. I find myself sending the “obligatory” holiday text…and receiving the “obligatory” reply to said text. WOW…it got to that. I’m partly to blame…after repeated rebuffed attempts…well I just gave up. This may be my last text to unsaid individual. I’ve been working on some spring cleaning and going through old documents, ridding myself of tons of old statements, and going through boxes of old photographs. As I poured the hundreds of images from lifetimes past I couldn’t help but wonder if I should just chunk all those old photos. My kids aren’t all that interested in people they don’t know. I’m not close to any family, my circumstances no longer allow for travel…I do have some cousins in town, but we aren’t close at all….our paths have just taken us in different directions, and aside from blood, we really have nothing else in common. I don’t imagine that most of the photos I have will mean anything to my children…I did throw out some, people I used to know that I can’t even recall names or what connection we might have had. My pantry is a reflection of said simplicity, I don’t want to have more than ten items at any given time. I cleaned out my pantry and freezer, gave to some good people who were truly in need. Went thru some clothes, didn’t get rid of enough, next round of purging will be next week, days off. It’s been a while…a long while….update in order…. So much has happened and this update will be disjointed…. Another school year is also coming to an end, with that…another son leaving, but we will have a new face taking his place….changes, so many changes….soon it will be time to sell and move on….actually I’m still selling, by the time the last one leaves I want all my furniture gone, I don’t yet know where I am going but I do know I don’t need all the crap I have accumulated. As I’m typing away I also find that while in my head I still have a lot to say, I have also lost my desire to write…..this may be the end…. Still gainfully employed, not anywhere close to fulltime but my body wouldn’t be able to handle it at this point…nor my head….today I began feeling feverish, I was not my most coherent and my temper had to be kept in check….stupid people usually don’t faze me but when I’m in pain I tend to get cranky and stupid people set me off….I can’t elaborate because I’ve learned this isn’t the place to air things….still haven’t created my safe haven…though I do have “friends” who offer their ears, shoulders and whatnot to me…I just can’t go there….not ready to trust anyone. I’m hoping that tomorrow I will feel better and I can treat the boys to either a meal out or maybe even a movie…they are off from school for a couple of weeks. I will enjoy the time spent with them, just wish my oldest could visit, but not this year….funny how life is, I wish them all grown up and out of here but then I know when the last two leave I will be so lost without them. My two youngest already have their plans in place for when the time comes for them to leave the nest….they are growing up too fast….sheesh…I need to quit here….I’m missing them and they haven’t even left. Must be the pain and the meds having me all melancholic and whatnot. Things like being a single mom. I love my boys, I will do just about anything (within reason) for them. But it is hard and getting harder….to keep them well fed. Having no job and dwindling financials is getting to me. The last couple of days my armor has cracked. 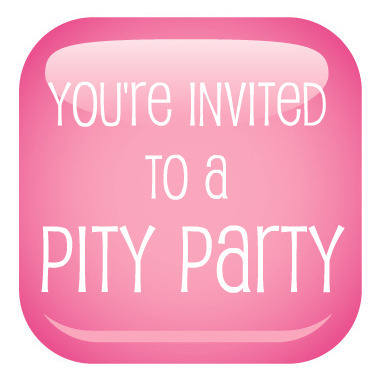 I’m not looking for sympathy…I’m simply having a pity party. And I’m sharing it with you. School will start in a few weeks and I’ll be having to get school supplies, shoes, clothes, though knowing my boys they won’t ask for or demand much. I love that about them, that they can see and understand the situation and not have a temper tantrum like other kids who just expect their parents to go broke financing a new wardrobe. I’m drained, mentally…I’m not seeing a way out of this. I’ve taken my “Happy Pills” and pain pills and sleeping pills…hopefully one of them kicks in and does what it is intended to do. Or if I’m lucky they will all kick in and then I can go to sleep happy and pain free….I can dream…well no I can’t because dreaming requires sleep. Sheesh…what a bitching catch 22.